Birds are primarily a commercial nuisance—especially during the summer. Pigeons are the primary offender for local businesses in Mackay and other areas. 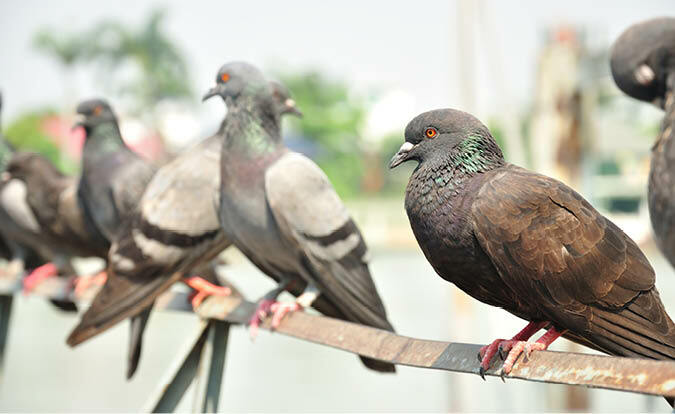 Typically roosting in rafters and on rooftops, their consistent cooing and plentiful droppings can be detrimental to daily operations, positive customer experience and profits. Just as rodents are smart, birds are fast and therefore tricky to remove completely. While there are a range of products that will fatally eradicate birds from your premises, there are more humane tactics to employ, such as blocking off entry points and using nets to trap and remove them from the building. The only way to keep birds away from your building is to make your space uninhabitable for them. There are several products available to keep the birds at bay, such as spikes and devices that provide an electrical shock on contact.